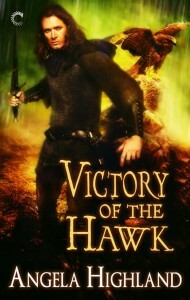 I have just been asked whether I will be writing more in the world of the Rebels of Adalonia trilogy, now that Victory of the Hawk is about to drop. The answer to this question is: maybe. If you look on my In Progress page, you’ll see that one of the titles there is Mirror’s Gate. This story is actually set in the same world as the Rebels books, only in a different country–specifically, Vreyland, which is very passingly mentioned in Vengeance of the Hunter and which will also be passingly mentioned in Victory of the Hawk. Vreyland, unlike Adalonia, is a country where elves are on equal social footing with humans. Also, magic is not only not forbidden in Vreyland, it’s actively part of the society there. Alert readers who look at the summary for Mirror’s Gate will note that I mention the sorcerer Alexsandr there. Please to note that Aleksandr is a human sorcerer, not an elven one. Yes, there are conclusions about the worldbuilding to be drawn here, and these are conclusions I would like to explore further. I’ve got a little over two chapters of this story written so far, and I’d like to do more. However, I’m not entirely done with Adalonia either. There are at least two potential paths of story exploration I can do after the Rebels trilogy is done. One path will explore a visit to Tantiulo, and the other will be exploring what happens in Adalonia after the social, political, and religious upheaval of this story reaches its peak in Victory of the Hawk. There will be hints laid down at the end of Victory about both of these paths. They could be explored in separate novels OR the same novel; I don’t know yet. But they are ideas I will be looking into developing. Carina only offered to do this trilogy, though, so how further works in this universe will be explored is so far an undetermined question. I may try to query them formally, or I may look into self-pubbing them. I don’t know yet. Either way, if folks out there would be interested in more works in this universe, or if you have questions about the worldbuilding you’d like to see answered, do let me know!